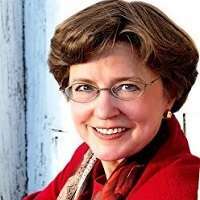 Nancy Pearcey is the author of the newly released Love Thy Body: Answering Hard Questions about Life and Sexuality. She is professor and scholar in residence at Houston Baptist University and editor at large of the Pearcey Report. Nancy Pearcey is the author of the newly released Love Thy Body: Answering Hard Questions about Life and Sexuality. She is professor and scholar in residence at Houston Baptist University and editor at large of the Pearcey Report. Her earlier books include The Soul of Science, Saving Leonardo, Finding Truth, and two ECPA Gold Medallion Award Winners: Total Truth and (coauthored with Harold Fickett and Chuck Colson) How Now Shall We Live Hailed in The Economist as "America's pre-eminent evangelical Protestant female intellectual," Pearcey has spoken at universities such as Princeton, Stanford, USC, and Dartmouth.